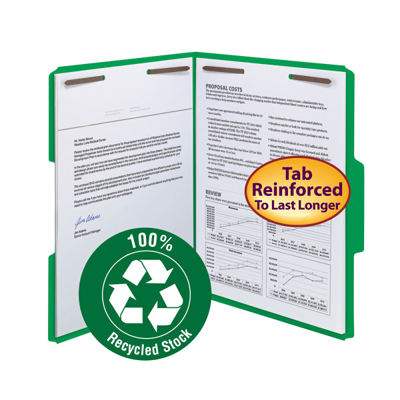 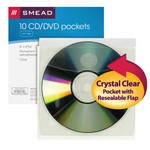 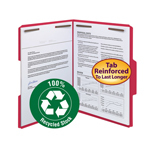 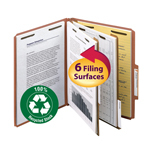 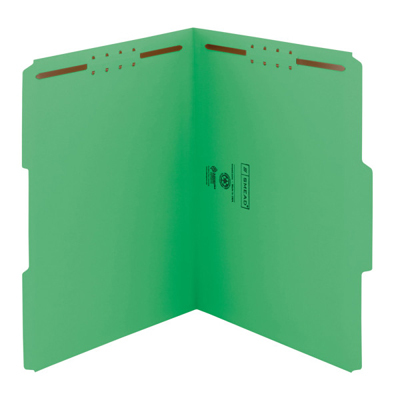 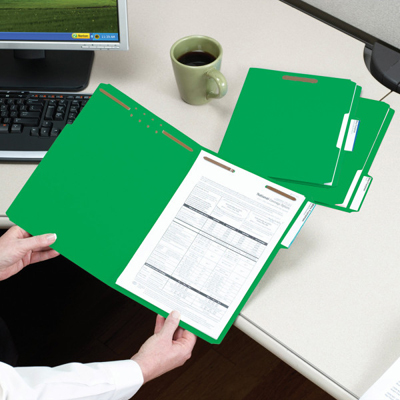 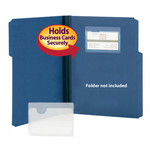 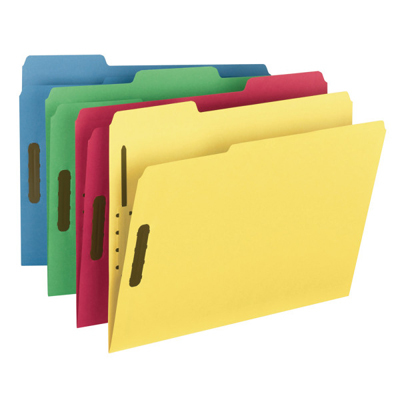 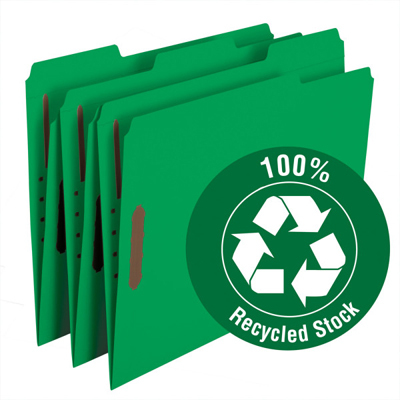 Ideal way for the eco-friendly office to keep valuable papers secure and subdivided. 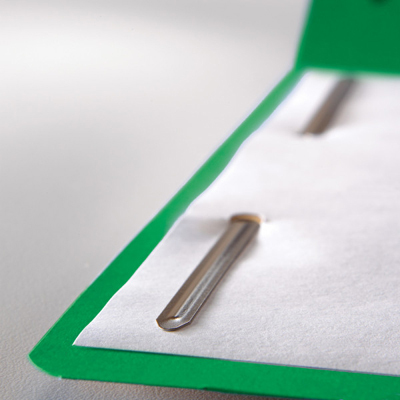 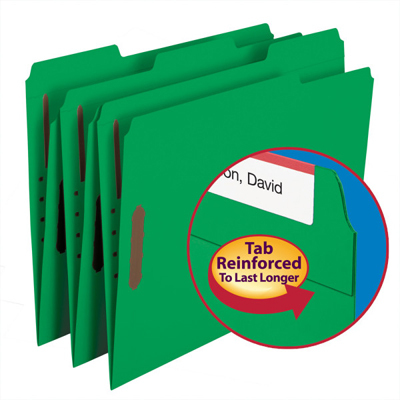 Use fasteners to keep most recent papers on top or to file purchase orders on one side and invoices on the other. 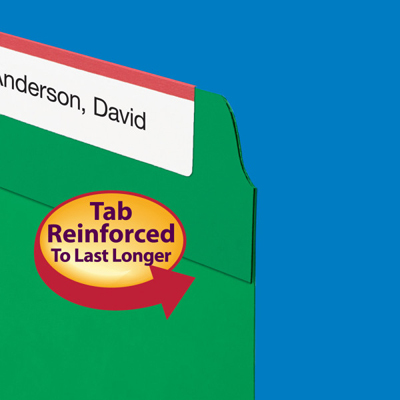 Reinforced two-ply tab provides extra durability at the point of greatest wear.